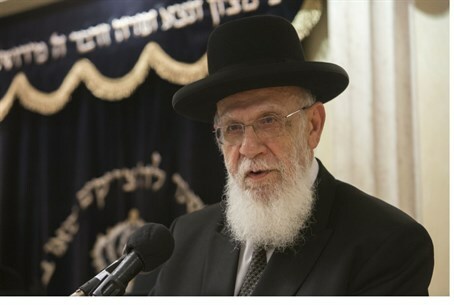 Activists in the Bayit Yehudi (Jewish Home) party on Tuesday asked Attorney General Yehuda Weinstein to file charges against Rabbi Shalom Cohen, for his recent comments about the Bayit Yehudi party and Religious Zionists in general. The activists, representing the secular wing of the Bayit Yehudi party, wrote to Weinstein Monday that the comments by Cohen, who among other things called Bayit Yehudi voters “members of the Amalekite nation,” were the epitome of incitement and needed to be dealt with legally. Amalek is a nation recounted in the Bible as the sworn enemies of the Jewish people, who attacked the Jews on several occasions as they were most vulnerable and with apparently genocidal intent. In response, the Jewish people were commanded by God to physically destroy the nation of Amalek. The term 'Amalek' has since become a byword for those enemies of the Jewish people - from the Nazis to Hamas - who are sworn to its physical annihilation and, most crucially, who cannot be swayed by reason and can only be dealt with by force. “Rabbi Cohen's comments are a radical attack on a large group of Israelis who are loyal to the country,” the group wrote. “The term 'Amalek' is a terrible accusation and epithet, the worst example of evil in Judaism. Jews are commanded to wipe out members of that nation because of their evil. “Using that term against an entire community of Jews, and saying that they are going to hell, are examples of unfettered verbal violence. They are likely to lead to physical violence, as the verbal violence against IDF soldiers from the hareidi community recently did,” the group wrote. Besides “Amalek,” Cohen termed Religious Zionist Bayit Yehudi voters with other names, such as “dangerous destroyers of the world,” “without observance of Torah law,” and “the cause of many sins among the public.” Cohen made such remarks on several occasions, the group said, and as a result there was no choice but to prosecute him.